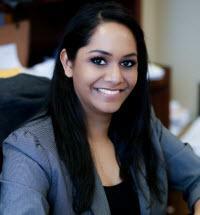 Monica Ghosh primarily practices in the area of civil rights, commercial, and general litigation in both state and federal courts. The majority of her work consists of representing individuals who have been unconstitutionally searched, arrested, or victims of excessive force. Prior to joining Gregory Kulis & Associates, Monica worked in civil legal aid, representing underserved laborers in clearing their criminal background, defeating civil asset forfeiture actions, pursuing wage and hour complaints, and educating workers broadly about their rights. Prior to civil legal aid, Monica completed a post-graduate fellowship with the Chicago Lawyers’ Committee for Civil Rights, litigating Title VII employment discrimination claims and representing victims of wage theft in state and federal court. Monica has spoken about novel worker’s rights issues to both the University of Chicago Law School and Loyola University of Chicago Law School student audiences. She has also participated in community lawyering, establishing wage theft legal clinics across various neighborhoods of Chicago. In law school, Monica clerked for various police misconduct and constitutional torts firms around Chicago and participated in moot court. Monica received her juris doctor from the University of Chicago Law School in 2015, and received her Bachelor of Arts in Plan II Honors and English from the University of Texas at Austin.